This year, the dmexco is once again expecting more than 1,000 exhibitors to showcase their innovative services and products in a total of six halls on over 100,000 square meters of exhibition space at Koelnmesse on September 12 & 13. The exhibitor interest thus is at least as great as it was last year. Leading companies from the German and international digital economy, such as Adobe, Facebook, Goldbach Group, Instagram, IP, Payback and Teads, have already booked or even increased their stand areas. In addition, several dozen returning and new exhibitors, including Ericsson and Xing, will be present. “The proportion of international companies is currently even higher than it was last year”, says Philipp Hilbig, Director Expo & Operations for the dmexco. “In discussions with more than 50 exhibitors, we identified opportunities for improvement for the dmexco, which we will put into practice in 2018 to further improve the quality and relevance of contacts between exhibitors and visitors”, adds Dominik Matyka, Chief Advisor of dmexco. The dmexco conference will maintain the event’s global focus. Dominik Matyka’s dmexco congress team will present an internationally first-class conference program, integrating the most relevant topics from the German-speaking market. All stages will remain at their current locations in 2018: the Seminars and the Start-up Village will be located in Hall 5. The number of young companies is set to rise from 150 to at least 200 this year. The Debate Hall and Agency Lounge will stay in Hall 6 and the Congress Hall will be in Hall 9 as usual. The motto of the dmexco 2018, initial highlights from the conference and new exhibitors from Germany and abroad will be announced by the dmexco in April. Good news for trade visitors: the price of a regular ticket will stay the same at 99 euros in 2018; the online ticket shop will open in July. Compared to other specialist events, the dmexco thus offers unbeatable value for money. There is a quota of free tickets available for BVDW members (German Federal Association of the Digital Economy), linked to the size of their stand. “Together with exhibitors, we have also identified target groups, such as Young Leaders or Rising CMOs, who we – and our partners - want to offer special tickets”, says Dominik Matyka. The most significant platform for the digital economy is also widening its network within other industry events. Thus the dmexco is inviting visitors of South by Southwest (SXSW), which takes place from March 9 to 18 in Austin/Texas, to the BBQ party in the German House on March 12, 2018 (www.dmexco.com/BBQ). And the “dmexco Wake-up powered by OMR” will be held on March 24, on the morning after the Online Marketing Rockstars in Hamburg, to which the dmexco will invite the industry’s decision-makers in person (www.dmexco.com/Wake-up). The dmexco side events, which took the form of Satellites and Night Talks in past years, are currently being redesigned. dmexco 2017 will be held in Cologne on September 13 and 14, 2017. You can find all the information about dmexco 2016, as well as photos, videos, and original audio material, at www.dmexco.com, www.facebook.com/dmexco, http://twitter.com/dmexco, and www.youtube.com/dmexcovideo. dmexco is starting into 2018 with a new management team: Effective immediately, Dr. Dominik Matyka, an internationally successful entrepreneur, venture capitalist and startup founder, will become dmexco’s Chief Advisor and will be responsible for the fields of Strategy & Conference. With this, he rounds out the management team at the world’s leading exposition and conference for the digital economy. Also effective immediately, Philipp Hilbig, 36, responsible for planning and implementation on the dmexco team for several years and a Director since May 2017, will be joining the dmexco Board for Expo & Operations. As before, Christoph Werner, 43, Senior Vice President at Koelnmesse, is the third Board member responsible for the Digital Media, Entertainment and Mobility Division at Koelnmesse, to which dmexco belongs. This means that the positions on the dmexco Board, vacant since November 2017 following the separation of Koelnmesse from longstanding consultants Frank Schneider and Christian Muche, have been filled once more. Dr. Dominik Matyka, 35, is a passionate entrepreneur, successful start-up founder and a venture capitalist with superb international connections. For instance, Matyka founded plista, the native advertising platform with operations in more than 20 countries, where he served as CEO till 2015 following the takeover of plista by WPP in 2013. He holds a Ph.D. in economics, has been involved in the launch of a number of start-ups and now serves as an angel investor and consultant via u25 ventures, and as founder and partner of the institutional venture-capital firm Cavalry Ventures. “With a proven track record as a digital expert and trend-setting protagonist in the industry, Dominik Matyka, is a perfect fit for dmexco. He brings with him many years of experience, a broad international network and the innovativeness it takes to successfully develop dmexco together with the entire management team,” noted Gerald Böse, President and Chief Executive Officer of Koelnmesse. „Together with the new leadership team, we are looking forward to a successful dmexco 2018. Koelnmesse and the BVDW will continue to deepen their content-related cooperation, so that dmexco will remain the highlight in the event calendar of the global digital economy also this year“, says Matthias Wahl, President of the German Association of the Digital Economy (BVDW e.V.). The BVDW is the ideational and professional partner of dmexco as well as owner of the trade mark. „dmexco is a strong brand and has been established as one of the top events of the international digital economy. I am particularly pleased to actively develop the outstanding successful work of the previous nine years as a consultant of Koelnmesse“, said Dr. Dominik Matyka. dmexco 2017 will be held in Cologne on September 13 and 14, 2017. You can find all the information about dmexco 2016, as well as photos, videos, and original audio material, at www.dmexco.com, www.facebook.com/dmexco, www.twitter.com/dmexco, and www.youtube.com/dmexcovideo. Cologne, 13 September 2017 – The most creative and disruptive solutions for Digital Marketing were brought on stage at the world trade fair dmexco in Cologne today. 16 finalists, chosen by the international expert jury, competed against each other in becoming the “Digital Marketing 2017 Innovator of the Year”. One could almost feel the heat of the competition when listening to these entrepreneurs pitching their revolutionary ideas. The following 16 Digital Marketing Heroes selected by the jury, were competing for the trophies: (in alphabetical order): Advertima (Switzerland), AudEERING GmbH (Germany), Beaconsmind & OSRAM (Switzerland), Cognitive Operational Systems Inc. (USA), Conichiwa (Germany), GES (Switzerland), IDA Indoor Advertising GmbH (Germany), Idezo GmbH (Switzerland), INS Insider Navigation Systems GmbH (Austria), Key Infuser (France), Kontakt.io (Poland), Mimesis Technology (Poland), PlayPass (Belgium), Sendrato BV (Netherlands), SEP Solutions/Onni Care (Finland), TOTEAT (Chile). audEERING is a contributor of intelligent audio analysis and speech emotion recognition technology and one of the most relevant providers of next-generation artificial intelligence based on affective computing. audEERING’s Audio Intelligence technology analyzes audio signals to automatically detect emotions, personal information, environmental sounds and many more aspects to enable emotional artificial intelligence. conichiwa creates individual and user-centric solutions to connect online with offline interactions. Their goal is to develop solutions that meet the real needs and challenges of each user by providing a channel to communicate set preferences. With this innovation, the customer interaction will take a new turn to sending only relevant and personalised content to the right person, at the right time, at the right location and via the right medium. Sendrato’s technologies supply their clients with in¬sights in movements, social information and in¬terests of people visiting large-scale events. The technology is prov¬en to process real time location, access and payment data of 250,000 visitors and enable the clients to make it interesting for the individual visitors by providing navigation and social features as well as entertainment. They have deployed smart wristbands and/or person¬al event assistants at Tomorrowland, Oktoberfest Brisbane in Australia and large-scale confer¬ences (e.g. Avanade). Poken is a cloud-based event management platform, that creates richer engagement. A seamless ecosystem of tools and technology for event pro¬fessionals, Poken enables event marketers to create interactive and exciting events, while providing a one stop system for managing each stage in the planning and delivery process. Equipped with a digital platform, mobile apps and NFC+ products, Poken brings together the digital and physical event spaces to drive engagement, centralize management and gain better insight through real data. Key Infuser offers stores and brands a powerful marketing tool for delivering live demonstrations, providing interactivity and generating customer’s interest. KiOne is a unique robot dedicat¬ed to Digital Transformation that navigates through smartphone’s applications and interacts with IoT connected devices, creating intimacy and desire for the digital experience. The interactions are stored in Cloud, enabling the stores and brands to develop their user adoption of digital experiences. The 5 champions and their winning solutions can be contacted at dmexco´s Innovation World Cup stand (Hall 9, World of Experience). The winning teams are now part of the Digital Marketing Innovation World Cup`s Hall of Fame (see www.innovationworldcup.com/dm/). dmexco and Innovation World Cup, determined to showcase the next phase of digital marketing, are the two organizers behind Digital Marketing Innovation World Cup. This global innovation competition welcomes revolutionary digital marketing solutions using Internet of Things, Wearable Technology and Cloud solutions in the following categories: POS & Retail, Games & Events, Digital Signage & Outdoor Media, Smart Home & Tourism and Mobility & Transportation. Contestants from across the world demonstrated their solutions and the international jury of experts selected the most innovative one, according to criteria such as degree of innovation, technical feasibility of an idea, future market potential and business model. Starting today, topics, trends and strategies for successful digital transformation are on display at dmexco 2017 in Cologne. With a record-breaking 1,100 exhibitors from around the world in six fully booked halls for the first time and over 570 top international speakers, dmexco is bringing together the global digital economy in a single location. According to the conference slogan "Lightening the Age of Transformation", the possibilities for transforming marketing, brands and entire companies will be discussed and the full spectrum of digital business will be made visible. Cologne/Germany, 13 September 2017 - Digital transformation has been a top priority in the global economy for many years now – with varying effects and levels of success for individual markets, industries, companies and consumers. Starting today, dmexco 2017 is at the epicenter of the digital transformation. As one of the leading events of the global digital economy, dmexco will for two days be presenting the trends and topics that will define the marketing, media and communication industry in the years to come. At this important show for digital innovations, insights and solutions, 1,100 exhibitors and over 570 top speakers will be providing impetus and giving rise to new ideas, while fostering creativity and innovations to enable successful business at dmexco. The online marketers group OVK of the digital economy association BVDW has revealed the full potential of digital business in its new OVK report, which was presented for the first time at dmexco. According to current forecasts, the market for digital display advertising in Germany will have grown by 7 per cent compared to the previous year. The total anticipated advertising revenue will amount to 1.91 billion euros. The new OVK online report is now available at www.bvdw.org and www.ovk.de. Even after opening a new sixth hall for the first time, dmexco is once again fully booked – this time covering a total area of 100,000 square meters with a record-breaking 1,100 exhibitors. All the leading companies in the global digital economy are on board. These include Accenture, Adobe, Axel Springer, Bertelsmann, Deloitte, eBay, Facebook, Google, Gruner & Jahr, IBM, Microsoft, Oath, Otto Group, PayPal, RTL Group, Salesforce, SAP, SevenOne Media, Sky, Spotify, Twitter, United Internet Media and Yandex among others. For the first time in a hall of their own, 150 newcomers from the worlds of marketing, media and technology will have the opportunity to engage directly with investors, potential partners and new customers. The Start-up Village has also been expanded and is providing a platform for around 150 founders to present their business ideas and make pitches for a 20,000 euro award as part of the "dmexco and Procter&Gamble Start-up Hatch". As the winners of today's semifinals, Baqend, Insider Navigation, opinary, and StoryTEQ will compete against one another tomorrow as part of the grand Hatch finale (14 Sept. at 11:15 a.m. in the Debate Hall). At the expo special "World of Experience", first movers of the connected world will be presenting their innovations at the cutting edge of megatrends like the Internet of Things, Artificial Intelligence, Virtual and Augmented Reality, as well as the numerous facets of smart homes. dmexco is bringing the crème de la crème of the international agency scene together at the Agency Hot Spot in Hall 6 including DentsuAegis, IPG Mediabrands, Omnicom, Pilot, Plan.net, Plista and Publicis among others. Together with their special service providers, these top agencies represent media budgets worth billions of dollars. Like dmexco itself, the diversity of speakers and topics presented on the 18 dmexco conference stages has grown exponentially. In 2017 visitors will be presented with more expertise and big names than ever before, spread across the 250-hour conference schedule. Key decision-makers and strategists from the entire digital value chain are providing a unique overview of the current trends in the digital (marketing) transformation – all according to the conference slogan "Lightening the Age of Transformation". The conference highlights of the first dmexco day include the presentation of Sheryl Sandberg (Facebook), Bob Lord (IBM), Sir Martin Sorrell (WPP), Jack Dorsey (Twitter), Margit Wennmachers (Andreessen Horowitz), Julia Jäkel (Gruner & Jahr), Bob Greenberg (R/GA) and Rachel Levin (influencer) among others. dmexco 2017 is placing special emphasis on the topics of female leadership and gender equality together with strong partners including The Female Quotient, Refinery29 and the Women Speaker Foundation. With its "29 Global Trailblazers", dmexco is presenting 29 women managers from the fields of marketing, media and technology, many of whom will also be involved in dmexco's "29Women-Talk" today and "Women's Leadership Table" tomorrow. The list of "29 Global Trailblazers" is now available at https://dmexco.com/gender_equality/. With even more top brands, insights and case studies, the dmexco Motion Hall is providing key insight into the world of digital video in its second round as an international forum for video and moving image screenings. Christian Muche and Frank Schneider, both of dmexco: "With its dynamic growth, dmexco's success story is a reflection of the transformation that the global digital economy is currently going through. And our industry has a pioneering role in the digital transformation. Despite the rapid development and the growing number of digital communication possibilities, the business world in particular relies on meetings in person, an exchange of ideas and face-to-face business transactions. dmexco provides an ideal and renowned platform for precisely this purpose – both locally and internationally! dmexco's relevance as a business platform is clearly reflected by the fact that the number of exhibitors has once again grown in 2017. With this in mind, we are looking very forward to the second day of dmexco tomorrow!" dmexco 2017 will be held in Cologne on September 13 and 14, 2017. You can find all the information about dmexco 2017, as well as photos, videos, and original audio material, at www.dmexco.com, www.facebook.com/dmexco, http://twitter.com/dmexco, and www.youtube.com/dmexcovideo. The big event is fast approaching! The global digital economy will meet at dmexco in Cologne. Shortly before its grand opening, dmexco 2017 presents further highlights: attention-grabbing initiatives focusing on gender equality and female leadership, 20 semifinalists of the “dmexco and Procter & Gamble Start-up Hatch,” the podcast series “Digital Business Leaders @ dmexco” of dmexco’s content partner Spotify, and an interactive OOH campaign, including an exciting prize draw organized by dmexco in cooperation with Kinetic. To get you in the mood and help you with your planning, dmexco is offering services that includes a practical checklist, insights shared on the social media channels and in the dmexco blog, all of the highlights on the optimized dmexco video channel, and the new dmexco White Paper 2017. Cologne/Germany, 12 September 2017 - dmexco believes that strong women are just as much part of success as digitalization is part of business. Together with strong partners such as The Female Quotient, Refinery29, and the Women Speaker Foundation, dmexco 2017 will launch, among other things, three campaigns that focus directly on the issues of female leadership and gender equality (https://dmexco.com/gender_equality/). In the “29 Global Trailblazers” campaign, dmexco and Refinery29 present portraits of inspiring female managers from the fields of marketing, media, and tech. Many of these women will also be participating in the “29Women Talk” and the “Women’s Leadership Table” on the dmexco stages. This year dmexco will once again collaborate with The Female Quotient to operate the dmexco Girls’ Lounge as the central meeting point for women (https://dmexco.com/the_female_quotient/). A very personal look at the issue of diversity and equality will be offered by Regina Mehler, the founder of 1ST ROW and the Women Speaker Foundation, in her interviews with dmexco celebrities on the green couch at the Congress Center North, Level 1. 20 founders, 4 pitches, 1 final round — that’s the procedure at the “dmexco and Procter & Gamble Start-up Hatch”, the new pitch format at dmexco (https://dmexco.com/the_start-up_hatch/). From a field of more than 60 applicants, 20 semifinalists have now been selected. They will have the opportunity at dmexco to present themselves to high-caliber judges consisting of investors, accelerators, incubators, influential media representatives, and global brand partners. The four best start-ups will compete in the final round. In a short final presentation and a further Q&A session, they will have an opportunity to convince the judges: Sophie Blum (Procter & Gamble), Dr. Florian Heinemann (Project A), Christoph Schuh (Lakestar), Terence Kawaja (Luma Partners), and Bessie Lee (Withinlink). The 20 semifinalists, who come from a total of nine countries, are: AdDefend, Akanoo, Baqend, Beemray, Clinch, Cognigy, FOAP, Fortvision, Insider Navigation, opinary, Photospire, Pixability, Reachbird, SoPrism, Squeezely, store2be, StoryTEQ, SwipeGuide, zenloop, Zolitron. As a dmexco content partner at dmexco 2017, Spotify will for the first time produce the series “Digital Business Leaders @ dmexco”. The top keynote speeches, panels, and fireside chats of the two conference days will be available to all users as podcasts on Spotify after dmexco is over. 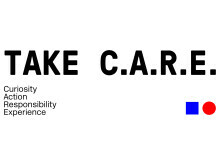 These materials will include presentations by thought leaders representing companies such as Procter & Gamble, IBM, IKEA, MasterCard, Facebook, WPP, and Heineken. Kinetic will launch an interactive Out of Home campaign in cooperation with dmexco. Scannable advertising media at the most important hotspots at dmexco itself and surrounding the exhibition grounds in Cologne will enable users to win exclusive prizes via the official dmexco app (www.dmexco.com/dmexco_app). This year dmexco has a very special offer for visitors from the USA: During the flight from New York to Frankfurt, we will be holding the first dmexco pre-conference on board the Lufthansa FlyingLab at an altitude of 10,000 meters (https://dmexco.com/flyinglab/). Visitors can receive current dmexco news and information first on Twitter (http://twitter.com/dmexco), Facebook (www.facebook.com/dmexco), and Instagram (https://www.instagram.com/dmexco/). Before and during dmexco, you can find exciting insights in the dmexco blog (https://dmexco.com/roadtodmexco/). 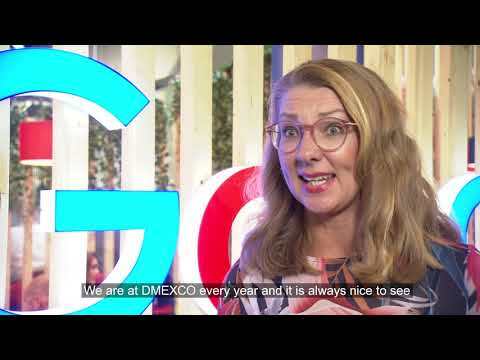 All of the previous and upcoming dmexco highlights can be viewed on the redesigned video channel at https://dmexco.com/video/. To make it even more convenient, you can now access relevant statements and content as five-minute summaries and share them directly with your community via social media. Deeper insights into the dmexco spirit and this year’s Conference motto, “Lightening the Age of Transformation”, are provided by the current dmexco White Paper at www.dmexco.com/whitepaper2017. And finally, you can find valuable tips for your visit to dmexco in the practical dmexco checklist at https://dmexco.com/checklist/. Speaking of planning, don’t forget to put the official dmexco Pure Party on your list. You can now book your tickets online at https://dmexco.com/party/. The big event is fast approaching! The global digital economy will meet at dmexco in Cologne. Shortly before its grand opening, dmexco 2017 presents further highlights: attention-grabbing initiatives focusing on gender equality and female leadership, 20 semifinalists of the “dmexco and Procter & Gamble Start-up Hatch”, the podcast series “Digital Business Leaders @ dmexco” of dmexco’s content partner Spotify, and an interactive OOH campaign, including an exciting prize draw organized by dmexco in cooperation with Kinetic. To get you in the mood and help you with your planning, dmexco is offering services that includes a practical checklist, insights shared on the social media channels and in the dmexco blog, all of the highlights on the optimized dmexco video channel, and the current dmexco White Paper 2017. dmexco tickets are available for €99 at http://dmexco.com/tickets/. Cologne/Germany, 8 September 2017 - More than 60 national and international players in the digital economy have once again joined together to form a powerful network of partners for dmexco. 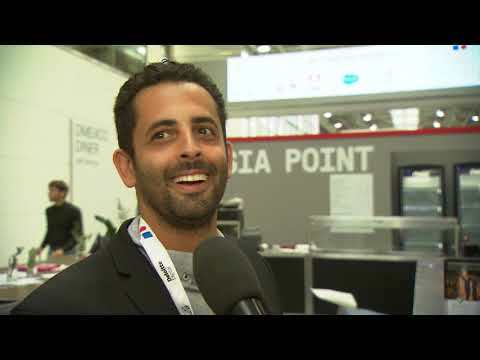 The organizer of dmexco is Koelnmesse, one of the biggest trade fair organizers in Germany. The Bundesverband Digitale Wirtschaft (German Association for the Digital Economy — BVDW) is the conceptual and professional partner of dmexco, with special assistance from the Circle of Online Marketers (OVK). The official partners of dmexco 2017 include the Arbeitsgemeinschaft Online Forschung (Working Group for Online Media Research – AGOF), the Gesamtverband Kommunikationsagenturen (General Association of Communication Agencies – GWA), the Internet Advertising Bureau (IAB) Europe, the Mobile Marketing Association, the Organization of Advertisers in the German Brands Association (OWM), the Advertising Club, and the World Federation of Advertisers (WFA). In 2017 Adobe is once again supporting dmexco as Platinum Sponsor. Salesforce is also supporting dmexco as Gold Sponsor Conference. This year IBM is Gold Sponsor Expo. Many additional sponsors will support parts of dmexco 2017: Procter & Gamble (Silver Sponsor Start-up Village), NBCUniversal (Silver Sponsor VIP Lounge), IBM iX (Silver Sponsor VIP Opening), Glomex (Silver Sponsor Video Channel & TV Studio), and Sourcepoint (Bronze Sponsor Live Voting Tool). Once again, the media companies supporting dmexco will include leading business and professional publications from Germany and abroad. At the international level, dmexco works closely with its media partners Adweek, beet.tv, Campaign, Digital Doughnut, eMarketer, ExchangeWire, marketingdirecto, MediaCat, Mediatel Newsline, Mobile Marketing Magazine, Sendenkaigi, The Arabian Marketer, The Drum, The New York Times, Video Ad News, and webrazzi. The national media partners of dmexco 2017 include absatzwirtschaft, acquisa, Berlin Valley, der Brutkasten, Die Bank, e-commerce Magazin, GFM Nachrichten, Gründerküche, Horizont, Internet World Business, marconomy, marketing-börse, Mobile Business, mynewsdesk, Netzpiloten, OnetoOne, Ryte, startingup, Ströer, t3n, Venture Daily, Versandhausberater, WIN Verlag, and W&V. Other members of this year’s dmexco partner network include CNN (TV partner), Computer Rock and Kinetic (app partners), GoEssential (video partner), and Spotify (content partner). All the exhibitors, all the stages, all the locations: starting immediately dmexco is providing its visitors the perfect planning tool including a scheduling feature with its new dmexco App 2017 (http://dmexco.com/dmexco_app). The official floor plan is also available for download (https://dmexco.com/floorplan/) and provides a simple guide with exposition highlights like the World of Experience, Start-up Village, Girls' Lounge and Agency Lounge & Area. The dmexco Magazine 2017, which is now also available in e-paper form (www.dmexco.com/dmexco2017_dmexco_Magazine) and the dmexco Ambassadors (https://dmexco.com/ambassadors/) provide the best information about current dmexco trends and topics before and during the event. dmexco tickets are available for 99 EUR at http://dmexco.com/tickets/. Cologne / Germany, 4 September 2017 - With its numerous new features, the dmexco App 2017 is the perfect planning tool for a successful visit - providing a constantly updated and accessible full service in mobile form. It includes all the top news, all the profiles of the over 1,050 exhibitors, targeted exhibitor searches in the floor plan, the entire conference program, a practical scheduling feature and the ticket wallet, which can be used to display and scan all of one's personal e-tickets with a single click. The floor plan is now available online at https://dmexco.com/floorplan/. The official dmexco App 2017 is available for free download for iOS and Android at https://dmexco.com/dmexco_app/. As can be clearly seen on the floor plan and in the dmexco App, the global digital economy is coming together at dmexco 2017! 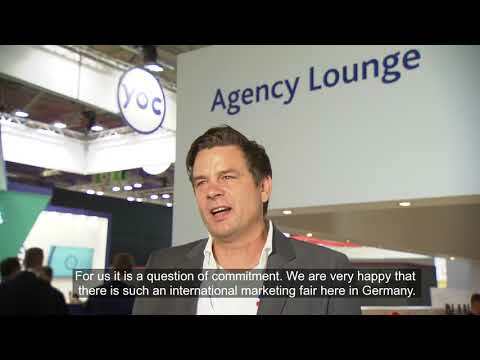 At its agency hotspot in Hall 6 (https://dmexco.com/agency_hot_spot/), dmexco is bringing the crème de la crème of the international agency scene together in Cologne. Among others, this includes DentsuAegis, iCrossing, IPG Mediabrands, Omnicom, Pilot, Plan.net, Plista, and Publicis. Together with their special service providers, the top agencies represent media budgets worth billions of dollars. In Hall 9, Snap, Merck, Lufthansa, Reply and other first movers of the connected world will be presenting their innovations at the cutting edge of megatrends like IoT, KI, Virtual and Augmented Reality as well as numerous facets of smart homes as part of the dmexco World of Experience (https://dmexco.com/world-of-experience/). For the first time in a hall of their own, 150 newcomers from the worlds of marketing, media and technology will be presenting their business ideas in the dmexco Start-up Village (https://dmexco.com/start_up_village/) and making their pitches for a 20,000 EUR award as part of the "dmexco and Procter&Gamble Start-up Hatch". Together with strong partners including The Female Quotient, Refinery29 and the Women Speaker Foundation, dmexco 2017 is launching various initiatives with a focus on female leadership and gender equality (https://dmexco.com/gender_equality/). One of these is the Girls' Lounge powered by The Female Quotient in Hall 9. It is the central meeting point for women at dmexco to share, gain knowledge and promote change together. With even more top brands, insights and case studies, the dmexco Motion Hall (https://dmexco.com/motion_hall/) is entering its second round as an international forum for video and moving image screenings in Congress Center North this year. The new dmexco Magazine presents initial topics, trends and outlooks from important sectors of the global digital economy as well as lots of inspiring dmexco tips as to what awaits visitors at this year's exposition and conference. The dmexco Magazine 2017 is available for free download as an e-paper at www.dmexco.com/dmexco2017_dmexco_Magazine. Before and during the event, the dmexco Ambassadors will be providing exciting insights. True social media all-rounders and digital marketing experts are serving as dmexco Ambassadors in 2017 including Gerrit Schumann (Chief Digital Officer, Verlagsgruppe Handelsblatt), Jörg Binnenbrücker (Managing Partner, Capnamic Ventures), Klaus Eck (CEO & Founder d.Tales), Falk Hedemann (Journalist, Social Media and Content Strategist), Stefan von Gagern (Journalist, Content, PR and Social Media) and Sven Wedig (CEO & Founder Vollpension Medien). For further information about the dmexco Ambassadors and their channels, visit https://dmexco.com/ambassadors/. All the exhibitors, all the stages, all the locations: starting immediately dmexco is providing its visitors the perfect planning tool including a scheduling feature with its new dmexco App 2017 (https://dmexco.com/dmexco_app/). The official floor plan is also available for download (https://dmexco.com/floorplan/) and provides a simple guide with exposition highlights like the World of Experience, Start-up Village, Girls' Lounge and Agency Lounge & Area. The dmexco Magazine 2017, which is now also available in e-paper form (www.dmexco.com/dmexco2017_dmexco_Magazine) and the dmexco Ambassadors (https://dmexco.com/ambassadors/) provide the best information about current dmexco trends and topics before and during the event. dmexco Tickets are available for 99 EUR at https://dmexco.com/tickets/. Let’s celebrate video: With even more top brands, insights, and case studies, the dmexco Motion Hall, the international forum for video and moving-image screenings, will go into its second round in 2017. In its high-caliber program, thirteen national and international media companies will present strategies, content, and innovations on the impressive LED wall and show advertisers, agencies, and all digital professionals where they should spend their video budgets in 2018. You can now find the complete program of the dmexco Motion Hall 2017 at http://dmexco.com/conference_program/. Cologne/Germany, August 23, 2017 - TV is becoming online is becoming mobile: Tremendous changes are taking place in the video ecosystem. The inevitable consequence is that advertisers and agencies must continually rethink their planning of moving images. All interested visitors at the dmexco Motion Hall 2017 will find out how to spend their media budgets on the right video trends and video platforms. Here, leading video and content producers, broadcasters, and platform operators will present the most exciting moving-image trends on the impressive stage of the international forum for video and moving-image screenings. The presenters will include Kevin Allocca (Google), Patrick Bales (StoYo), Marco Bertozzi (Spotify for Brands), Robbie Douek (Walt Disney EMEA), Samantha Glynne (FremantleMedia), Bert Habets (RTL Group), Donata Hopfen (BILD), Kay Hsu (Facebook/Instagram), Nicolas John (Webedia), Alex Kaplan (Discovery Communications), Petra Malenicka (CNN), Kevin McGurn (Vevo), Peter Naylor (Hulu), Becky Owen (Walt Disney EMEA), Marco de Ruiter (National Geographic), Julian Reichelt (BILD), and Alex Wellen (CNN). The Motion Hall will cover the whole range of video content producers, ranging from publishers to broadcasters and online platforms —and from Bild to Walt Disney, RTL Group, Facebook, Hulu, and YouTube. This year, thirteen leading brands will use compact screenings to present their latest productions, most recent multiscreen developments, and innovative marketing possibilities. After that, they will be available in the newly designed Speakers’ Lounge or at the stands of their screening partners for in-depth discussions and business contacts. The up-to-the-minute showcases will also feature the top video trends, “Branded Content” (hosted by the Branded Content Marketing Association) and “Virtual Reality” (hosted by VAST MEDIA), and will share key insights with the visitors. In addition, numerous panels and keynote speakers will address the growing importance of video in a vast variety of areas, as well as the concrete effects of video on the media business. You can find further information about the dmexco Motion Hall 2017 at http://dmexco.com/motion_hall/. The complete Motion Hall program can be accessed at http://dmexco.com/conference_program/. dmexco tickets are available at http://dmexco.com/tickets/.